With an excess of development occurring in the Perth County area during this time, and with our prior experience in excavation and construction, we begin fulfilling the need for a seeding solution locally as a part-time venture. Within a couple years of seeding new lawns, we begin to notice another need: lawn sweeping. With the cold and destructive winters in the area, lawn sweeping is essential to reach a healthy growth by summer, and with few service providers around we take on sweeping as another side project. After taking on lawn sweeping and reaching success, we quickly expand into extensive lawn care services and register the name Lawn Shark Lawn Care. We soon begin building a satisfied customer base. We soon realize the limitation of the name Lawn Shark Lawn Care. Seeking to further perfect our services, grow into a larger organization and make a reputable impact beyond our local environment, we take this as a perfect opportunity to reinvent ourselves. 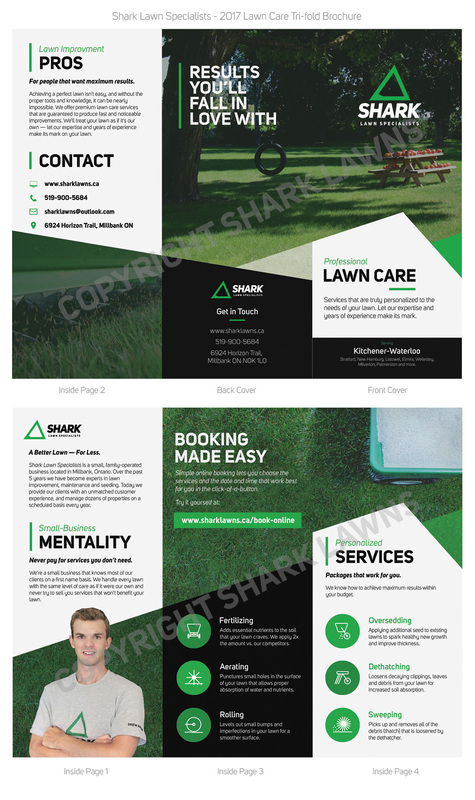 Shark Lawn Specialists is born, and we immediately begin work under our improved values. After reinventing ourselves into Shark Lawn Specialists and beginning to take on bigger and better projects, we begin working alongside a number of contractors and excavation companies. We become a trusted name for quality lawn services throughout southern Ontario and serve more and more customer each and every year.